Kaffir lime has many names such as combava, swangi, leech lime or ma-kruat in thai. It grows on a thorny bush native to Indonesia and se Asia. 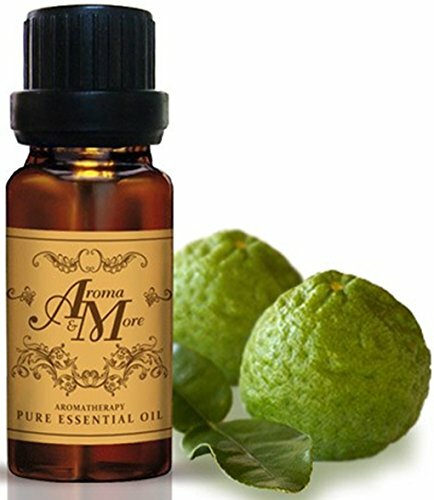 Kaffir lime peel is one of the most aromatic citrus oils. It produces less of the low-aromatic constituents typically found in high amounts in most citrus oils. Kaffir lime peel is often used hair tonics to revitalize and strengthen hair. It has strong anti-infective, antifungal and insect repellant properties to protect the hair and scalp while restoring the hairs' shine. it is detoxifying and assists in breaking down fatty deposits. It is mildly sedative yet energising, uplifting and contributes a feeling of well-being so it is a valuable ingredient in stress formula essential oil blends.